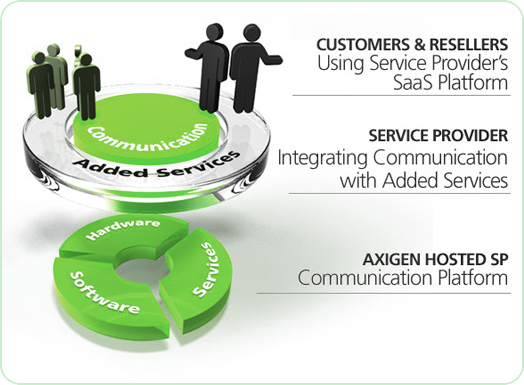 Managed hosting solution for SPs looking to offer white label SaaS communication to large customer bases counting thousands to millions. Premium services covering Groupware, Collaboration, AntiVirus or AntiSpam, increased storage etc. Our Linux-based servers completed by highly-skilled support engineers & our load balanced, clustered infrastructure (where applicable) is a guarantee of high uptime numbers for you. As part of the standard mail package, a full weekly backup or backup of all mailboxes under your account with a 1 week retention period is included. Other backup schemes are also available on request. For example, a customized backup setup could include a full weekly backup, daily incremental backups & a retention period. Email archiving is a legal requirement in many jurisdictions. Should you like to archive all incoming & outgoing messages, or simply only the incoming emails to a restricted list of accounts, this is possible by configuration. The standard package includes a setup fee & a 2 month-retention period of your archived emails. Depending on your data retention requirements, various packages may also be created. All of your platform’s components are constantly monitored & maintained. Performance indicators are also closely supervised to ensure the highest levels of service. As part of the core package, we provide you with a Tier 2 (English-based) 24×7 technical support. This means that your customer service representatives will be able to contact our support team and follow-up on open cases via our email-based ticketing system. Upon account setup, we will activate your support accounts, for any support enquiries you may have. In the scenario in which you choose to migrate from a legacy email platform, we can provide services for migration of mailboxes & even PIM data (if available to be exported from the legacy system) to our platform. We have the expertise to implement innovative solutions with a totally transparent migration for your subscribers & with near-zero downtime. This is subject to a feasibility study that must be undertaken & that is highly dependent on the capabilities of your legacy mail platform.